April 17, 2016 Archives - Clarksville Sports Network - Clarksville Tennessee's most trusted source for sports, including Austin Peay State University. 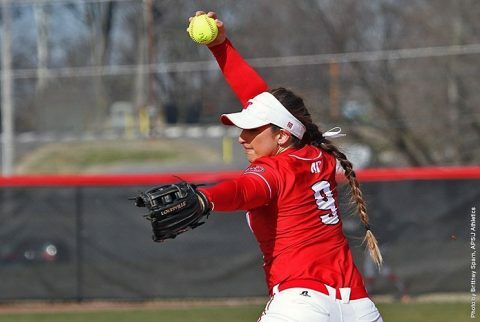 Charleston, IL – Austin Peay State University’s softball team gave up a run in the first inning to Eastern Illinois, Sunday at Williams Field, and like the first two Ohio Valley Conference games in the series that proved to be all the Panthers would need with EIU shutting out the Governors for a third straight game, this time in a 1-0 final. 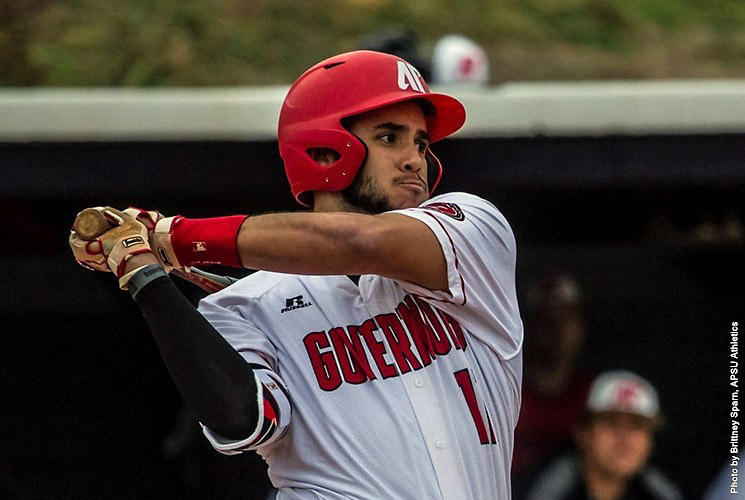 Nashville, TN – A trio of home runs catapulted Austin Peay State University’s baseball team to a 6-3 Ohio Valley Conference victory against Belmont, Sunday afternoon at E.S. Rose Park. 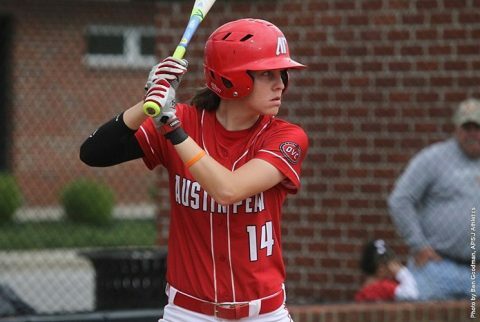 With the win, Austin Peay clinched the three-game series, 2-1, for its fourth straight OVC series victory. Trailing by a single run after six innings, Austin Peay (21-13, 12-6 OVC) began its seventh-inning rally with one out on the board. 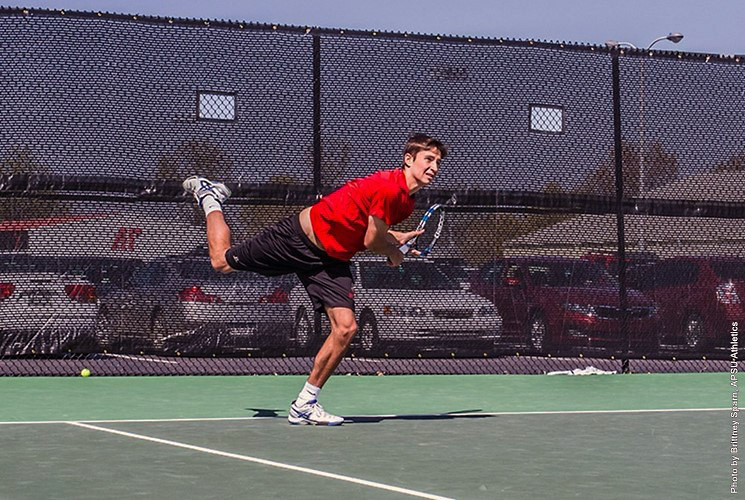 Jacksonville, AL – For the eighth consecutive season, Austin Peay State University men’s tennis team has gained entry to the Ohio Valley Conference Tournament following a 4-3 victory over Jacksonville State, Saturday, at the JSU Tennis Courts. The Governors (7-10, 6-3 OVC) have now reached the six conference wins mark for the sixth-straight year. 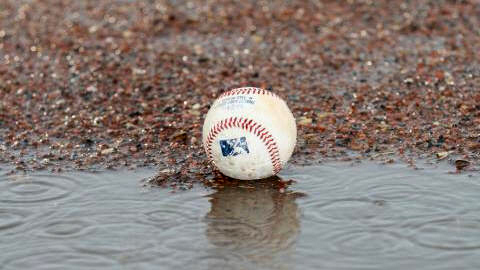 Oklahoma City, OK – Sunday’s afternoon game between the Nashville Sounds and Oklahoma City Dodgers has been postponed due to rain. The two teams will play a doubleheader at Chickasaw Bricktown Ballpark on Thursday, June 9th at 4:35pm. Both games will be seven inning contests. The series comes to an end Monday night at 7:05pm. Right-hander Chris Smith (0-1, 5.73) starts for the Sounds against right-hander Zach Lee (2-0, 1.50) for the Dodgers. 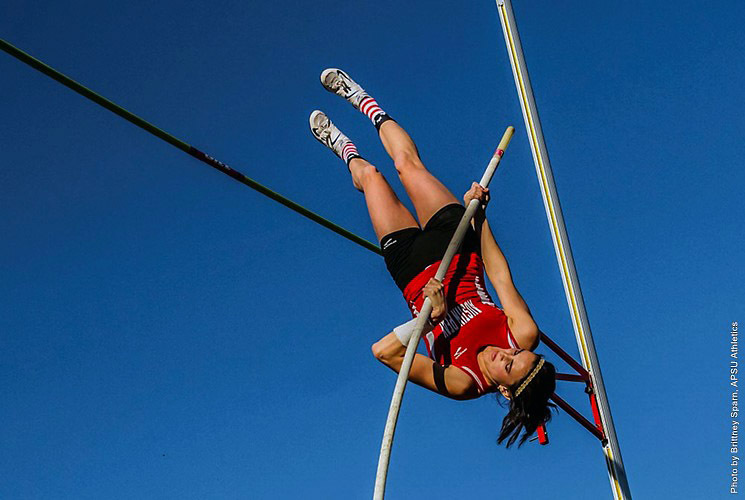 Clarksville, TN – Austin Peay State University track and field put on a show as hosts of the annual Austin Peay Invitational, hosting one of the bigger fields in meet history at Fortera Stadium. The Governors hosted a number of area teams, including conference foes Murray State, UT Martin, Tennessee State and Tennessee Tech at the annual event. 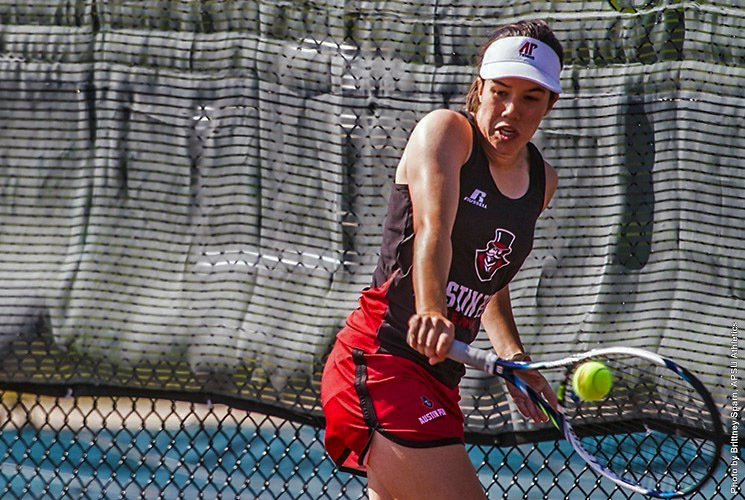 Jacksonville, AL – Austin Peay State University women’s tennis team punched its ticket to the Ohio Valley Conference tournament with a 4-3 victory against Jacksonville State, Saturday, at the JSU Tennis Courts. In their battle against the Gamecocks, Lidia Yanes Garcia and Helena Kuppig gained their fourth overall win as a doubles team after defeating JSU’s Olivia Nguyen and Genevie Ulanday, 6-2. 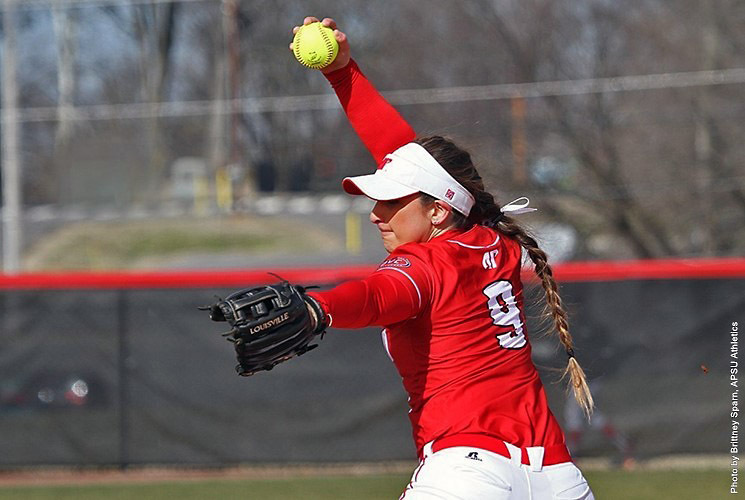 Charleston, IL – Austin Peay State University’s softball team was limited to just five hits in its Ohio Valley Conference doubleheader with Eastern Illinois, Saturday at Williams Field, with the Lady Govs suffered 6-0 and 3-0 losses. 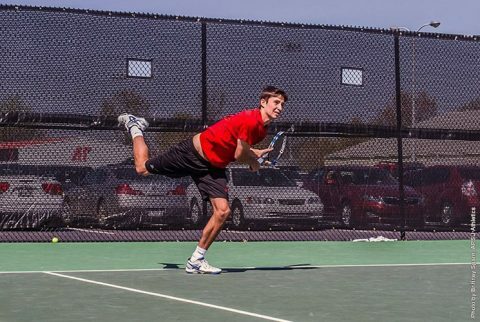 This was the second time this season the Govs (6-28, 2-14 OVC) suffered back-to-back shutouts in OVC action, with SIU Edwardsville also throwing back-to-back scoreless games against Austin Peay back on March 21st. 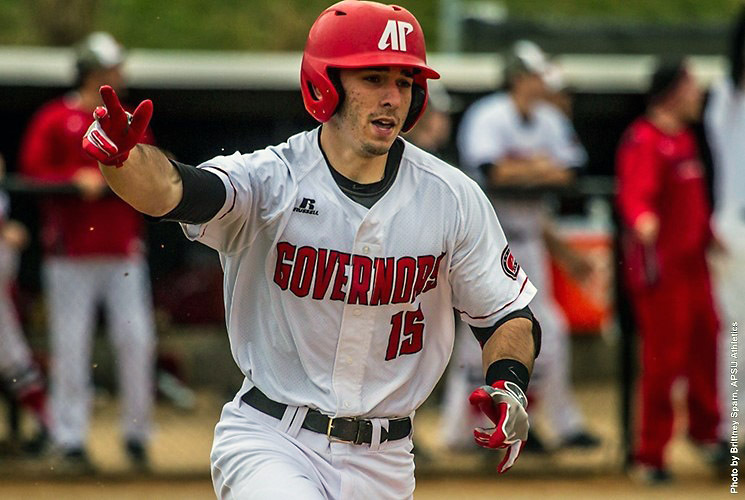 Nashville, TN – Pinch hitter Wesley Purcell led off the 10th inning with a single and later scored on an error, giving Austin Peay State University’s baseball team a 6-5 Ohio Valley Conference victory against Belmont, Saturday afternoon at E.S. Rose Park. The Governors leveled the three-game series, 1-1. Austin Peay (20-13, 11-6 OVC) nearly had the go-ahead run in the ninth inning as it back-to-back batters earned one-out walks. However, they could cash in the free passes and saw reliever Jared Carkuff retire Belmont in order to force extra innings.